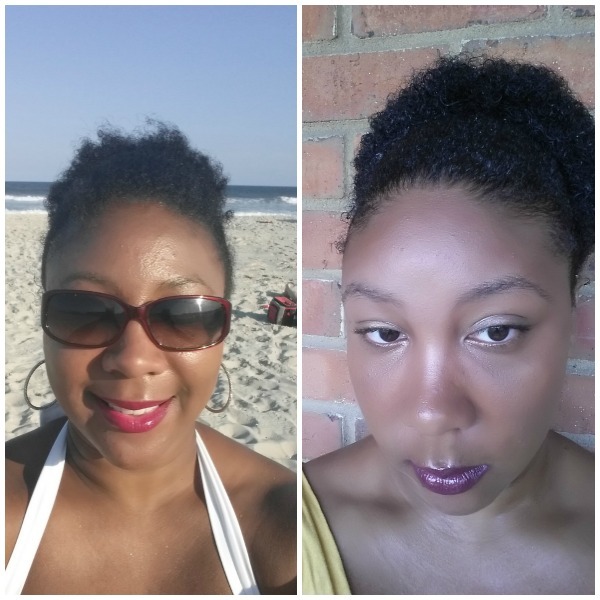 The max hydration method has been used by all naturals alike, but in particular it claims to give 4c hair wash n go curls with definition and moisture. Depending on where you get your information from (everyone seems to have their own variation) the method is a lengthy process. For the first week the steps must be completed everyday and any drying product ingredients like sulfates or alcohols should be avoided. After the first week of using the Max Hydration method, the regimen is to be implemented every three days and it is highly advised that you do not go past 5 days without implementing the method. Step 2. (continued)Rinse out DC and detangle in morning. Step 4. Leave in. Hair should be soaking wet, no matter how you go about doing it. conditioner. Add 4-8 oz of water. Shake. Apply to hair in sections and let sit on the hair for 15-60 minutes. If being done on product free hair, lower bakingsoda measurement to 1-2 teaspoons. This step is ideal for low porosity hair, since it lifts the cuticle as well. Apple cider vinegar rinse. You do a 1:1 ratio of apple cider vinegar with water in an 8oz applicator bottle. Apply to hair in sections from tips to the root, and on scalp. Let it sit in the hair for 15- 60 mins before rinsing. Note you can choose to only do the acv for 15 mintues, like the BS, but the longer you can leave it the better. This regimen seems to be working for at least some people, as the website’s testimonials page is filled with videos from YouTubers demonstrating the method and pictures of before and after results. I definitely believe that this method is plausible, as my 4c hair takes on an entirely different look when I have successfully moisturized it and I retain the moisture I put into it. The photo on the left is me with no products in my hair and the photo on the right is me with loads of moisture and Eco Styler gel. When I posted a similar picture with my hair having a little wave to it, my blog commentors were convinced that there is no way I have 4c hair. But I do, it’s just that when moisture gets involved Afro hair takes on an entirely different look, the problem that many of us face is keeping that moisture locked in. There are two downsides I see with the Max Hydration Method: the time investment and keeping your hair in a wet state for a prolonged period of time. “Do the steps in the exact order, and do not skip any step, or it will not be as effective. Do not use any drying products. For the first week, these steps must be completed everyday”, says the Max Hydration creators. Keeping your hair in a wet state for a prolonged period of time may not be the best for its health. Although some people are able to wash their hair daily without any effects. However, it is a fact that when hair is wet, it is in its weakest state. I know for me personally I prefer to work with damp hair rather than soaking wet hair as I find my hair too easy to break in a soaking wet state. For everyone, I am sure it’s different and only you can judge what whether this will be likely to give you the best results. Would you try the max hydration method? I am new to NHR and first thing wanted to find out what to do about my low porosity hair. So I want to try this MHM but I am confused about the clay.. So, I do steps 1&2 at night but then is it saying I can add #3 to #2 at night as well and then do #4 & #5 for the day? Also, if no coconut oil what type of oil should I be using?